A panel of lawmakers has bumped up the amount of money a casino in Anne Arundel County and a planned casino in Baltimore would get under an expansion of gambling. The House Ways and Means subcommittee made the change Monday as the House of Delegates worked on a measure already passed by the Senate. 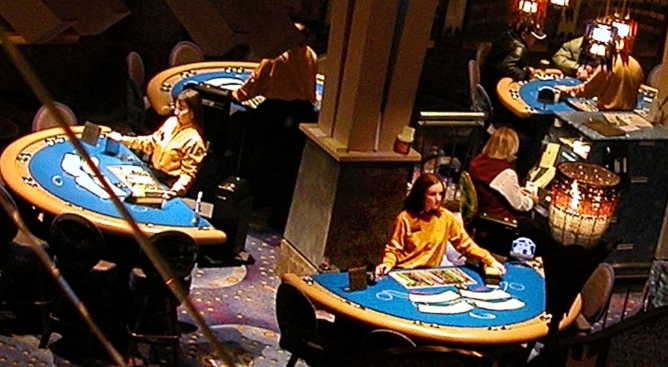 Under the Senate bill, the casino in Anne Arundel County and a planned casino in Baltimore would pay 5 percent less tax to the state to pay for advertising and capital improvements in order to offset increased competition from a new casino in Prince George's County. Under changes made by a House subcommittee, Maryland Live! in Anne Arundel County would pay 8 percent less and the Baltimore casino would pay 7 percent less.